They always say that the way to a man’s heart is through his stomach. Likewise, the best way to win your wedding guests over is also through their bellies. Pull off an unconventional reception, and your unique wedding grub will leave your guests talking for many gatherings to come. Don’t play it safe and confine yourself to the usual spread – chances are we’ve all been to weddings where the food was easily forgettable. From everyone’s favourite llaollao to mobile coffee carts, here’s a list of unorthodox food caterers for a wedding to remember. Everyone loves llaollao, so having a live station at your wedding will naturally elevate your food reception to #goals status. Their catering package includes delivery, set up and two manpower service. Your guest will be treated to a medium cup with up to three toppings of their choice. Forget corny heart-shaped chocolates as door gifts, this froyo station will be the ultimate wedding favour for your guests. Coffee lovers, it is only right that your food menu is an accurate reflection of you and your significant other. 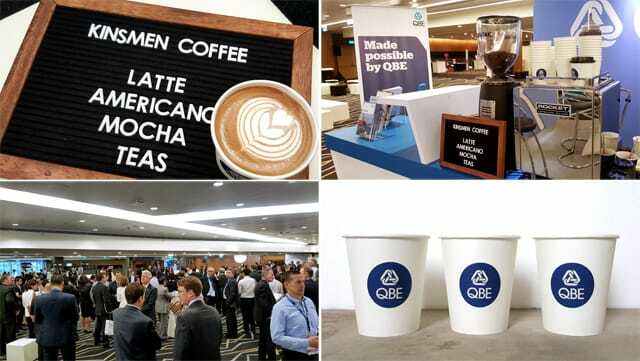 Rent a mobile coffee cart and and spoil your guests – and yourselves – with lattes, cappuccinos and even artisanal coffees like cortados and gibraltars. Everyone could use a good pick-me-up, especially if your wedding is going to span several hours. Kinsmen Coffee provides a fully-equipped coffee cart with barista service and costs around $700-$800 for a 2-hour service. You can even customise your own takeaway cups for added novelty. There’s something very alluring about live food stations. Case in point: the omelette station at hotel breakfast buffets we all throng to before anything else. Perhaps it is the sheer excitement of watching your food being cooked in front of you, or knowing that it will be served fresh and piping hot. In this case, having a truffle fries live station is more than apt because nobody likes soggy fries. 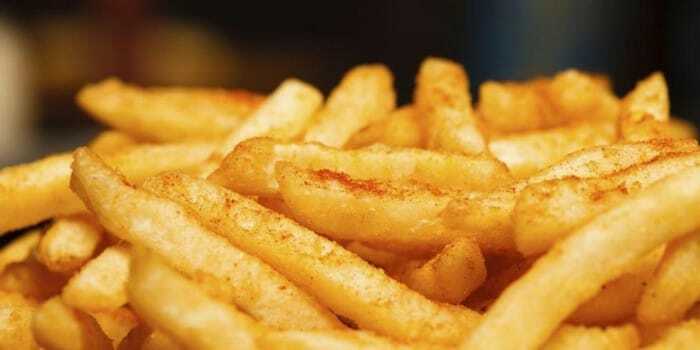 Prices start from $350 per hour for free flow fries and includes complimentary delivery and set-up. Old is always gold. 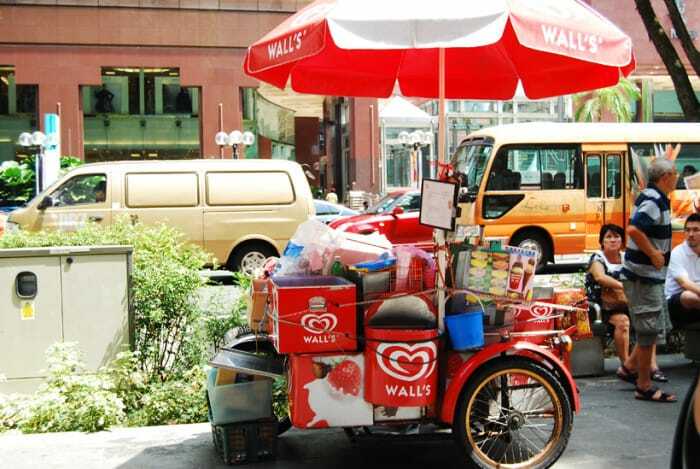 Relieve your childhood days with this old school treat from the iconic roadside cart we all grew up eating. This would make the perfect addition to an outdoor wedding – ice cream is the best remedy in the sweltering heat. Prices start from $250 per hour and includes cart delivery, manpower, four standard traditional flavours and choice of cone, rainbow bread or cup. This timeless addition will be a nostalgic hit among your guests. We know that anything French is always classy, so having a live crepe station will be an elevated supplement to your main food menu. Each guest will get to savour two crepes – one savoury and one dessert – and choose from a myriad of toppings. 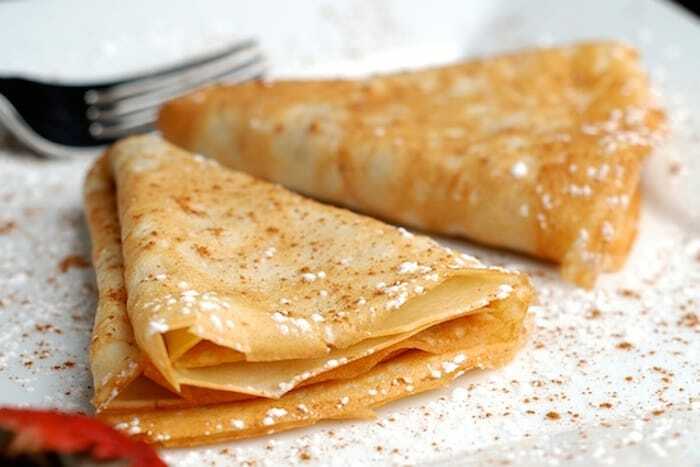 Saybons’ crepe menu is highly customisable, so you have the flexibility to curate a menu to cater to the discerning palates of your wedding guests. A basic package costs $10.50/pax with a minimum of 30 guests. This is the mother of all desserts in Singapore right now. 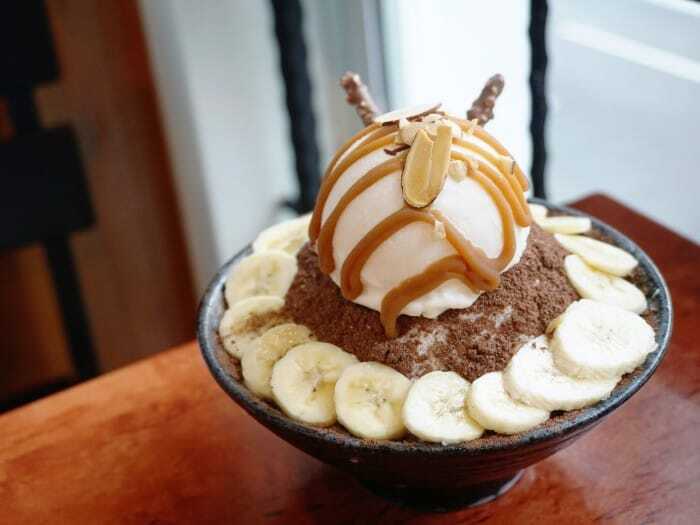 Capitalise on the hype of the Korean bingsu and wow your guests with a live bingsu station. Each package is inclusive of an operator, delivery, unlimited bingsu and starts from $300/h. Free flow shaved ice with ice cream on top? Yes, yes a thousand times. Up your wedding booze game with a mobile alcohol and beverage bar from The Shake Affinity. 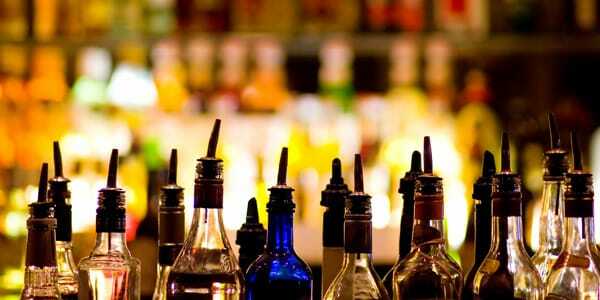 The drinks menu can be customised – you get to choose from an extensive list of craft beers, wine, spirits, champagne, cocktails and mocktails. We know how awkward wedding receptions can be sometimes, especially when different groups of friends and family come together for the very first time. This bar service will defo allow your guests to loosen up a little and double up as an ice breaker topic. 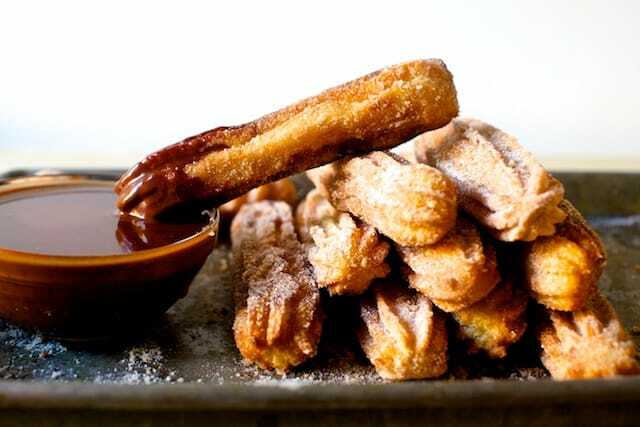 You can’t go wrong with churros. Consider these deep fried, sugar-coated treats for an extra sweet wedding reception. Churros Factory offers several different packages, and the winning factor in all of them has got to be the unlimited churros service – freshly fried, warm churros to keep your guests and their bellies happy all day. A two-hour live station starts from $380. This is as unusual as it gets. Rent a live station from Sunlife Pastries and have mouth-watering, piping hot durian pancakes made and served to your wedding guests onsite. It costs $1.80 per pancake, and a minimum order of 250 pieces is required for this live service. If you and your spouse-to-be are durian lovers (and majority of your guests share the same sentiments too), this would make the perfect go-big-or-go-home execution for a memorable wedding.